The news: The dream to break up California into six separate states is getting closer to a possibility: This week, California&apos;s secretary of state&apos;s office approved requests to begin "collecting petition signatures." The initiative is being sponsored by Silicon Valley venture capitalist Tim Draper, who claims "political representation of California&apos;s diverse population and economies has rendered the state nearly ungovernable." At least 807,615 voters&apos; signatures — roughly one-eighth of the total ballots cast for the 2010 gubernatorial election — will need to be collected by July 18 for the referendum to make it to the next election&apos;s ballot. The background: With a GDP of approximately $2.0 trillion, in 2012 California was tied with Italy and Russia for the eighth largest in the world, according to the Center for Continuing Study of the California Economy. 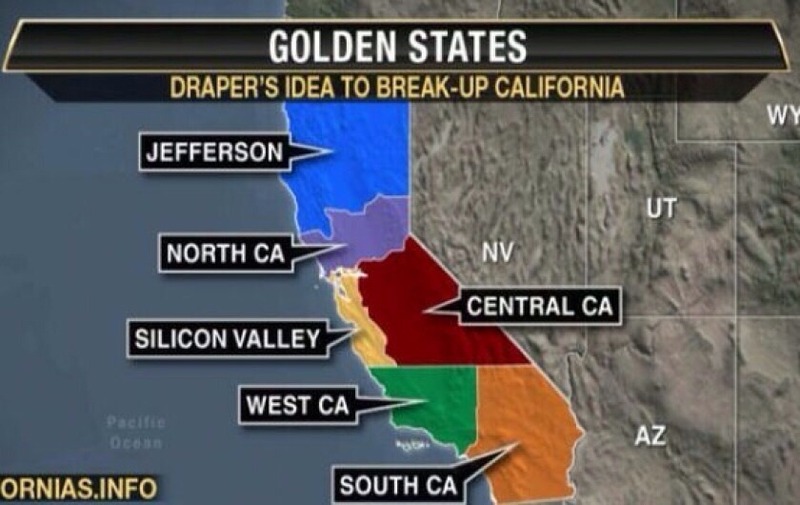 The proposal would split California into six states: Silicon Valley, West California, Central California, North California and Jefferson — except for Jefferson and Silicon Valley, maybe not the most creative names. The takeaway: Besides being an interesting idea that would dramatically alter the country&apos;s makeup and the way the region is governed, this split could also have serious political consequences in presidential elections. 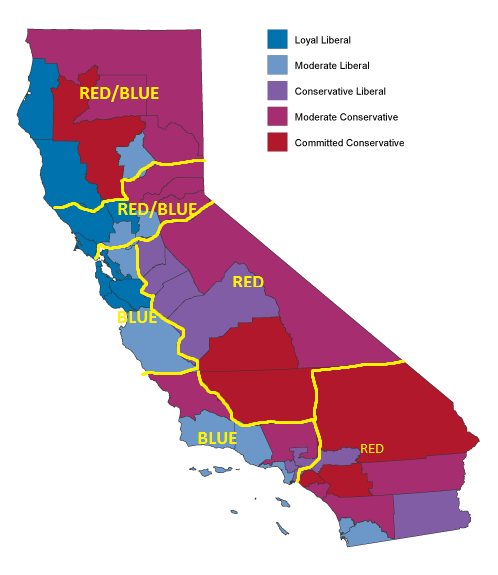 In recent history, California has been a strong Democrat state, but as demonstrated from the map below, the six-way schism could shake up the region&apos;s electoral votes and Democrats could lose the 55 electoral votes they rely on in presidential elections. Instead, the area could turn out to be a mixed bag of liberals and conservatives, adding a new and unknown element to national elections. And what about a new flag? Fifty-five stars? Crazy!